The Fellowship was fortunate enough to obtain a copy of G.I. JOE #1 from IDW Publishing. The story is by Fred Van Lente, with pencils by Steve Kurth, inks by Allen Martinez, colors by Joana Lafuente, and lettering by Neil Uyetake. Carlos Guzman is the consulting editor. The world now knows that G.I. Joe exists, so it’s decided to use that knowledge to their advantage. A journalist is embedded with Duke’s team as he is sent out on a new mission - there is a presence of COBRA in Warrenton, Ohio. However, it is unclear if it’s a base, weapons depot, or something worse. The Joes arrive only to be attack by COBRA soldiers. How will Duke’s team get of this and are the people of Warreton in danger? This is a pretty cool and interesting start to the new JOES book. I like Van Lente’s work from ARCHER & ARMSTRONG, so I figured I would enjoy this. Steve Kurth is no stranger to the JOES and his work is very impressive here. I never have been a big follower of G.I. JOE comics, but this may be a series to watch. G.I. 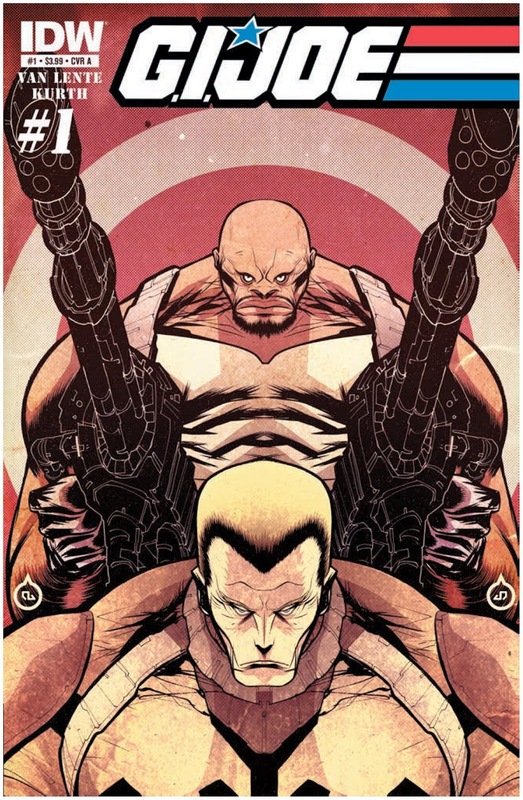 JOE #1 is in stores now and available at www.idwpublishing.com.